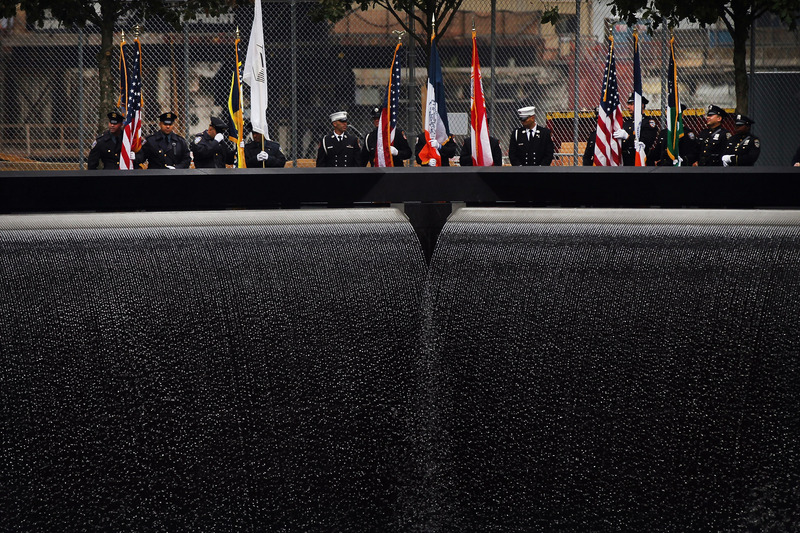 In three weeks, New York City's National September 11 Memorial Museum will finally open its doors. But instead of being a time to think about everybody affected by the 9/11 attacks, it's all become about a video. A six-minute, reportedly anti-Muslim documentary has been kept top secret and hush-hush — and thus has, of course, become all anyone can talk about. The super-short documentary is only a small part of a larger exhibit, which is itself just a small section of the museum — but has dominated headlines because of its apparently problematic representation of Muslims, and its supposed failure to address those issues. Oh, and it didn't help that the museum's education director accidentally sent the critical panel an email meant for the museum’s senior directors, saying, “I don’t see this as difficult to respond to, if any response is even needed." The film itself — from what we know of it — is called The Rise of Al Qaeda, and is, as its title would suggest, a very short documentary about the development of the international terrorist group, narrated by NBC anchor Brian Williams. Very, very few people have actually seen the video — one screening involved a small group of Sept. 11 relatives and policemen, another involved an interfaith clergy advisory panel. It has yet to be released to the public, and media outlets who have tried to see it, like The Daily Beast and the New York Times, have been denied access. Why? You might assume that it's a matter of security — anything to do with 9/11 is probably under extra protection, and understandably so. According to The Daily Beast, though, it's not about that: the museum has said it "wants the video to be viewed only in the context of the other exhibits." (The Beast's Dean Obeidallah seems less than convinced, however, pointing out that "when a party won’t release a key piece of information, it’s generally because that information will hurt their argument, bolster their opponent’s, or both.") Either way, the museum's choice to keep the video under lock-and-key is adding fodder to the controversy — like anything else, being hidden has made it instantly more desirable. Whether intentional or not, the secrecy surrounding the video has made the museum a hot topic — but it's also allowed the point of the memorial to be lost in the hype. Though the focus should be on the museum's important mission — and those for whom it is being built — speculation around a clandestine, six-minute film is dominating the narrative instead.